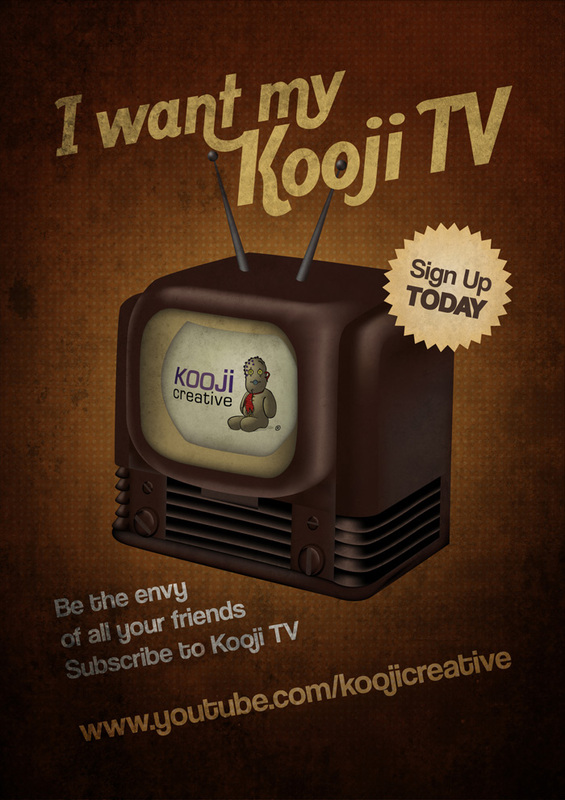 The Kooji TV YouTube channel was set up to share video, animation and motion graphics projects with the online community. 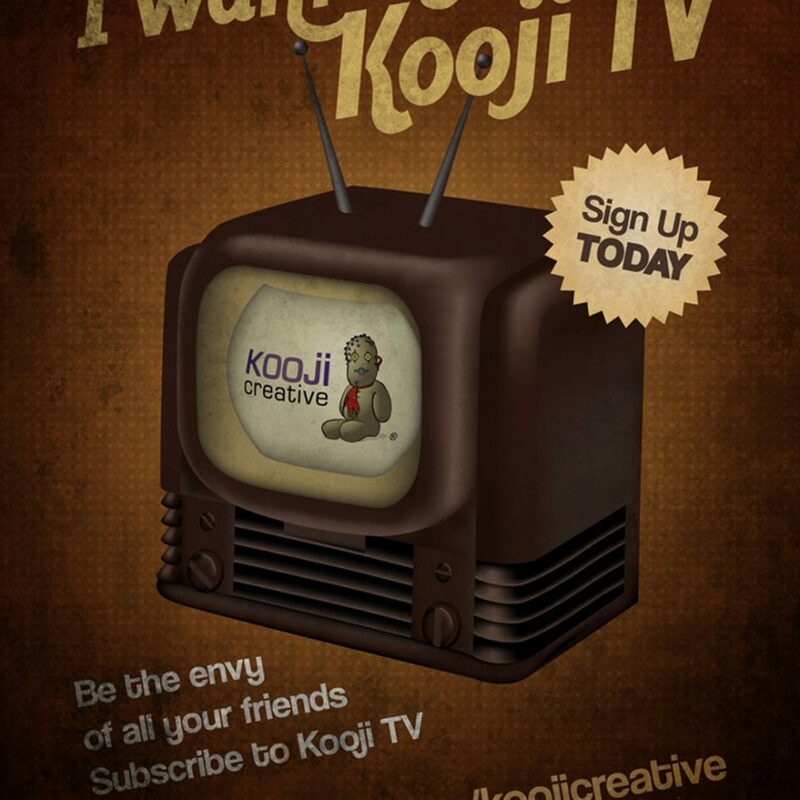 To raise awareness and to attract new subscribers, Katherine designed this flyer. She created the 1950s style TV in Illustrator using several gradient meshes then brought it in to Photoshop to add the final touches.